A daily 20-minute session of seated isometric yoga is both a feasible and effective chronic fatigue syndrome treatment. A simple yoga program, consisting of isometric, seated yoga postures significantly decreases fatigue. Chronic fatigue syndrome is a debilitating disease characterized by persistent fatigue that is not relieved by rest. Many patients do not fully recover with conventional chronic fatigue syndrome treatment, which consists of antidepressants, cognitive behavioral therapy, and/or graded exercise therapy. While yoga is one of the most commonly accepted natural therapies and has been shown in previous studies to treat unexplained fatigue, many kinds of yoga are impossible for patients suffering from chronic fatigue syndrome. A study conducted in 2014 found that a simple yoga program consisting of isometric, seated yoga postures significantly decreased fatigue in patients who didn’t get better with standard treatment alone. Is Isometric Yoga Best for Chronic Fatigue? Acknowledging that conventional chronic fatigue syndrome treatment leaves many patients with persistent fatigue and that yoga has been found to be an effective natural treatment for unexplained fatigue, a group of researchers from two Japanese universities hypothesized that yoga is effective in improving fatigue in patients with chronic fatigue syndrome. First, however, they wanted to find the best type of yoga for alleviating fatigue rather than exacerbating it. They chose isometric yoga after doing research and interviewing trained yoga instructors. Isometric yoga differs from more traditional and popular forms of yoga in several ways. First, the poses consist mainly of isometric muscle contractions, meaning the muscles contract but don’t shorten. This allows the level of resistance to be changed, depending on the patient’s fatigue level, and therefore may help prevent exacerbation of fatigue. Second, isometric yoga doesn’t include strong stretching and requires less physical flexibility. This prevents over-stretching, which is detrimental and may increase pain. Third, an isometric yoga program can be designed to intentionally avoid standing postures. The researchers felt this was important because a considerable number of chronic fatigue syndrome patients suffer from dizziness, vertigo, and/or palpitations when standing up. On the other hand, isometric yoga is similar to traditional yoga in the sense that the poses are conducted slowly in accordance with breathing and with awareness of inner sensations. First, patients were asked to be aware of their spontaneous breathing for one minute. 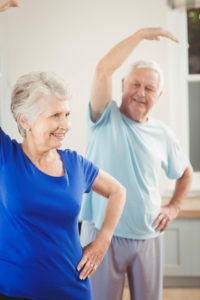 Next, they practiced six poses that were very slow isometric exercises at 50 percent of the patient’s maximal physical strength, coordinated with the timing of breathing. Last, the patients practiced abdominal breathing for one minute. To study the effects, the researchers randomly divided 30 chronic fatigue syndrome patients who did not have satisfactory improvement after receiving conventional therapy into two groups. The control group was treated with conventional drug therapy and the active treatment group was treated with both conventional drug therapy and isometric yoga consisting of 20-minute daily yoga sessions, twice a week, with a yoga instructor and the other days at home for approximately two months. Since the study was published in a peer-reviewed journal freely available online, you have free access to the results, including illustrations of the six poses of the isometric yoga program. The results showed that fatigue decreased significantly in the yoga group, but not in the control group. In addition, patients in the yoga group who had fibromyalgia along with chronic fatigue syndrome experienced significant pain relief. Many subjects reported that their bodies became warmer and lighter after practicing isometric yoga. Although there were no serious adverse events in the yoga group, two patients complained of tiredness and one of dizziness after the first yoga session with the instructor. While no single chronic fatigue syndrome treatment is a cure-all for this complex disease, a daily 20-minute session of seated isometric yoga is both feasible and effective for relieving the fatigue and pain of patients with chronic fatigue syndrome. Practitioners of integrative and natural medicine take a more comprehensive and holistic approach to treatment and recommend gentle forms of yoga as part of a therapeutic program. Biopsychosoc Med. 2014; 8(1): 27.
antidepressants, anxiety, chronic fatigue, chronic fatigue syndrome, chronic fatigue syndrome treatment, chronic fatigue treatment, cognitive behavioral therapy, dizziness, exercise, fatigue syndrome, fatigue treatment, fibromyalgia, holistic, immune system, integrative, isometric exercises, meditation, mindfulness, muscle, natural medicine, natural therapies, natural treatment, natural treatment for, pain, pain relief, strength, studies show, tiredness, vertigo, yoga for beginners, yoga found effective for pregnancy anxiety.